Last year’s predictions of a generally bullish market for cryptocurrency and blockchain stocks proved to be correct. Bitcoin markets reached an all-time high globally touching $19,600 per coin on December 16, 2017. Sadly, it seems Bitcoin stocks have been on a bearish trend since then, having dropped to $7,200 six weeks later. Many cryptocurrency market analysts are predicting different “bottoms” to which Bitcoin may drop even further. Many cryptocurrency investors and industry leaders believe 2018 will eventually see success of Bitcoin and other cryptocurrency stocks. Less than a week ago, Tom Lee, who is at the helm of the investment firm Fundstrat, released an optimistic report predicting rising cryptocurrency values throughout the year. Lee predicts Bitcoin markets will reach $20,000 by mid-year and $25,000 by the end of 2018. But what do other industry insiders think? Finder.com surveyed nine well-known fintech investors to see their cryptocurrency predictions for 2018. Cryptocurrencies included in the study referenced bitcoin core (BTC), bitcoin cash (BCH), Cardano (ADA), Ethereum (ETH), and nine other popular digital currencies. Survey participants in the research include Clayton Daniel of Fintech Founder, Michael Dunworth CEO and co-founder of Wyre Inc, Joseph Raczynski from Reuters, as well as other reputable individuals. According to their survey, the participant’s cryptocurrency average price predictions place Bitcoin core (BTC) at $14,928 by March 1, 2018. By the year’s end, the nine candidates say Bitcoin core markets will top $43,472. They also believe that new competitor Bitcoin cash (BCH) will be $2,167 by March 1, and $3,083 at the end of 2018. The survey was taken just last week and predicts that Cardano (ADA) will have the largest price climb this year (+1,669.52%) reaching $10.63. The report’s panel predicts Bitcoin will see the greatest increase (309%) in market cap by the end of the year with Ethereum in second with a 219% increase. Participants also provided specific, detailed feedback regarding the logic behind their 2018 cryptocurrency stocks predictions. 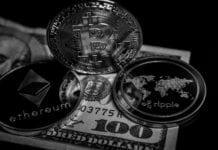 “I think [BTC] will show promise from scaling solutions, and ETFs platforms integrating the buying/selling component will provide broader reach for market adoption,” explains Michael Dunworth the CEO of Wyre. “As adoption in the space continues, we’ll see a rise in bitcoin along with other altcoins. 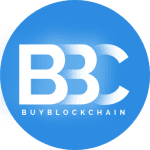 The usability of this new asset class continues to be a hurdle,” says Jen Greyson, CEO of the Neureal Network who was named one of the top eight women in cryptocurrency this past year by Chipin. “As we find more opportunities to use crypto to pay for burgers and rent, we’ll see a continual uptick in the values across the board — We’re really still at the beginning stages,” she further elaborated. Smart, strategic investing in Bitcoin stocks, cryptocurrency stocks, or otherwise traditional stocks requires looking at long term patterns and avoiding getting hung up on short term gains and losses. This held true of now traditional stocks back in 1920 and it holds true of even the most futuristic cryptocurrency stock. It is impossible to predict with absolute certainty, but industry leaders predict patient investors who buy Bitcoin on the cheap now will see profits in their future. Previous articleHow does the recent price drop in Bitcoin affect cryptocurrency stocks? Next articleWhat does the sudden Bitcoin surge mean for cryptocurrency stocks?